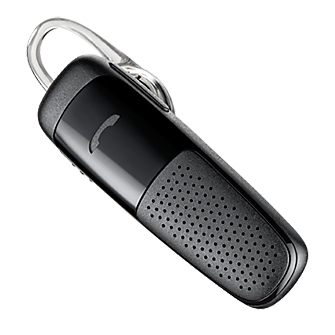 The Plantronics M25 Bluetooth headset effectively reduces noise and wind interference in your calls. This hands-free headset makes things easier with separate buttons for volume, power on/off, and call answer/end. The ergonomically-designed swivel ear loop and contoured ear tip ensure a comfortable and stable headset fit. The Plantronics M25 wireless headset is universally compatible with all Bluetooth devices and is extremely easy to use. Talk time 11 hours and standby time 150 hours.